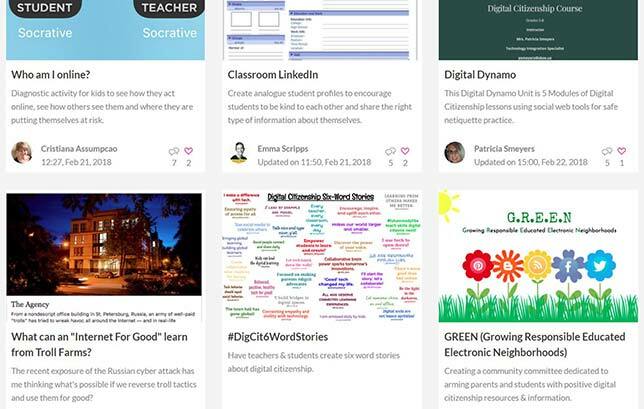 The Teachers Guild is using a 14-week online challenge to generate new ideas on how to "empower students to be better digital students." The top three entrants will receive a year of International Society for Technology in Education membership and the opportunity to present their ideas at ISTE's annual conference in June. The Teachers Guild is a non-profit initiative that grew out of New York City's Riverdale Country School and co-developed with global design firm IDEO. The same organization launched a Design Thinking for Educators Toolkit several years ago. For the next two weeks the guild will accept lessons, curriculum, units and event ideas from educators on how to help students become "smart, kind and secure online." Current submissions include a set of game-based lessons to help teens think about their "digital selves"; the idea of having students create "six-word stories" about digital citizenship; and a lesson to help K-2 students "communicate respectfully through online messaging." Those submissions that generate the largest number of "heart buttons" will be moved into a build phase. In that stage, teachers who have submitted ideas are invited to prototype the ideas in the classroom or review them with peers for refinement. The refined content is then voted on by site visitors. Favorites will be announced April 12, 2018. Submissions may be made or viewed on the Teachers Guild website.